Salcombe is in the most southerly part of south Devon and we really do get the lion’s share of the good weather. In fact, on average we have 1600 hours of sunshine a year and in July we have temperatures averaging 19.8 degrees C.
You’re right to dream of the sea breeze swishing through your hair and the sensation of wet sand between your toes – everyone has wonderful memories of their childhood seaside holidays. But we are going to have to face an inevitable truth – in the UK it does rain every now and then, even in the middle of summer. Relish all the fun of the seaside but this time add a twist with activities that can be enjoyed during inclement weather. Bumble about the shops along Fore Street, have a chinwag with a local artist in their seaside studio, or discover the delicious seafood on offer. 1. 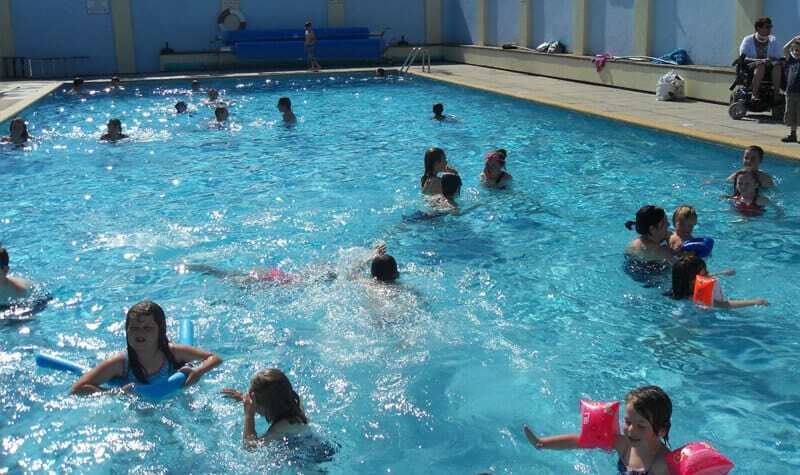 Use the heated outdoor swimming pool at the Salcombe Primary School. Particularly popular with the kids. 2. Kids Cookery classes. The Galley Girls offer kids cookery lessons in the comfort of your own home. Why not put the kids to work and you enjoy their creation as part of your evening meal?! 4. Book a Sea n Shore nature tour – they have all the wet weather gear ready for you. Discover the stunning ecosystem in the Salcombe Estuary from listening out for seals to spotting seahorses – this a real family hit. 6. Settle into the Merlin Cinema in Kingsbridge which is an independently run cinema. It’s small but part of the local community. 7. 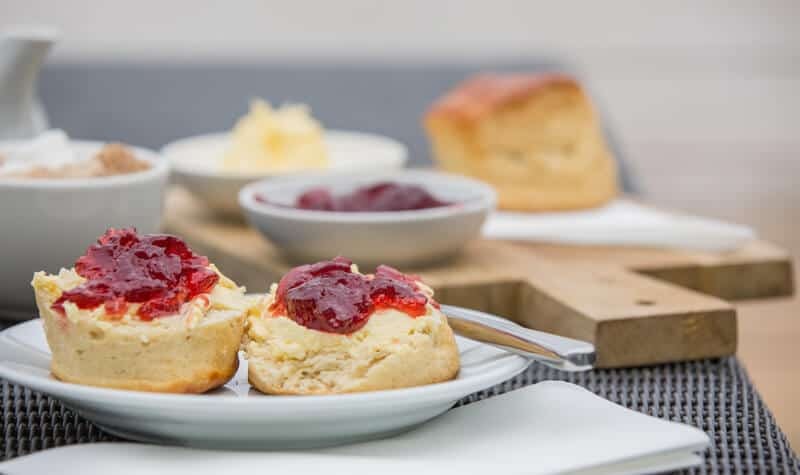 Load up your scones with lashings of clotted cream and homemade strawberry jam at the South Sands Hotel. They serve a wonderful cream tea. 8. Have a mooch around the galleries and shops along Island Street which has become home to talented local artisans and the popular Paper Bird Island for little people to get creative. 9. Go on a rainy walk. 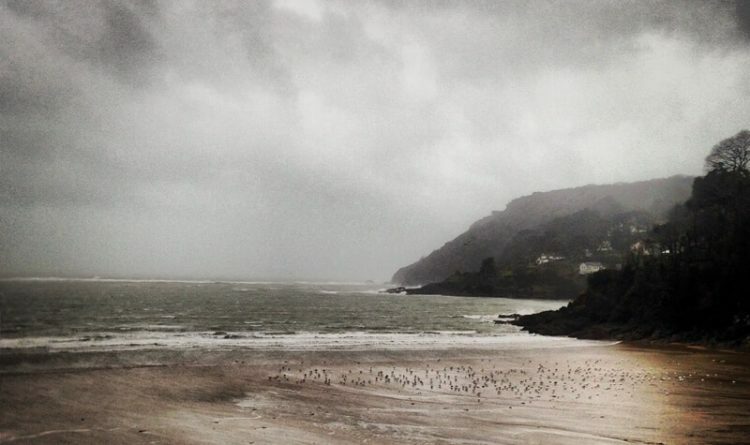 Get the children (and adults) dressed in waterproofs and wellies and head to North Sands. Have fun splashing in the puddles and running around before a well-earned cup of steaming hot chocolate to warm up within the Winking Prawn. 10. Head to Overbecks, a National Trust property, which is located just above South Sands. A beautiful sub-tropical garden awaits and lots of fascinating artefacts curated by inventor and scientist Otto Overbeck. 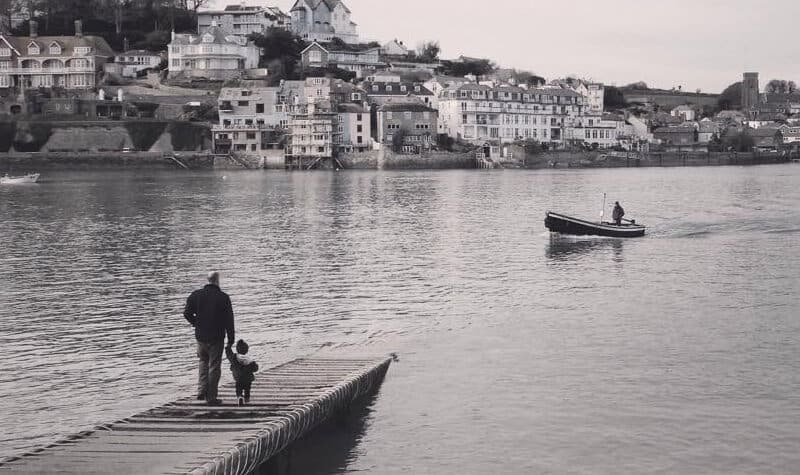 Discover more ideas for keeping the kids happy on a rainy day in Salcombe.